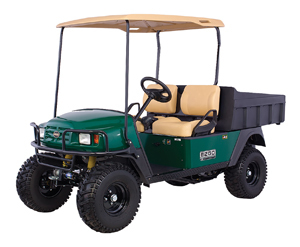 The Freedom RXV features an advanced, energy-efficient AC Drive with an automatic braking system, or a best-in-class 13 hp Kawasaki® engine. Enjoy better handling from an independent A-arm suspension. The sleek new look is sure to fit any lifestyle. The ST Sport 2+2 is available in Electric Blue or Flame Red. 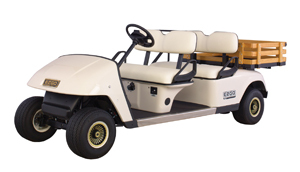 It features two-tone seats, premium alloy wheels, 22 in. 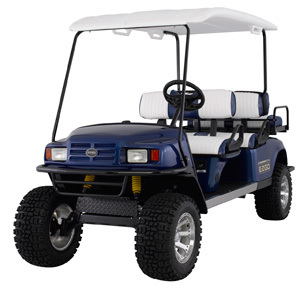 trail tires, seating for four with convertible cargo deck. Ride in comfort with the ST Sport 2+2. 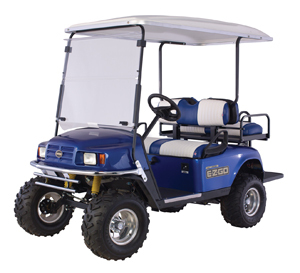 The ST Express has four forward-facing seats and is available in a 13 hp gas or 48-volt electric model with a 1200 lb total capacity. Take your friends are family for a spin in the spacious ST Express. The Shuttle 2+2 is equipped transport up to four passengers and their belongings. Choose from an electric model with an innovative AC Drive and full-time regenerative braking system, or a gas-powered model featuring a best-in-class 13hp Kawasaki® engine. Impress your friends by hauling them around in the Shuttle 2+2. The ST 480 offers a powerful 16 hp engine coupled to a CVT transmission with a locking rear differential. With a roto-molded cargo box, 800 lb payload capacity, 22 in. Stryker tires and hydraulic brakes, no job is too big. Bring refreshments or snacks with the Refresher MPT 1200. The Refresher MPT 1200 provides ample room to display a any variety of snacks and up to 346 cold drinks. Ample refreshments are only a Refresher MPT 1200 away. The ST Sport 2+2 is designed with a rear seat that converts to a spacious cargo deck, plenty of payload capacity, ground clearance and power. Built for work or play, let the ST Sport 2+2 be your golf car of choice. The Shuttle 4 seats four with a spacious cargo deck for luggage and belongings. 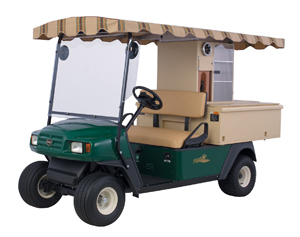 The Shuttle 4 can be equipped with a wide range of options and accessories to meet any need. 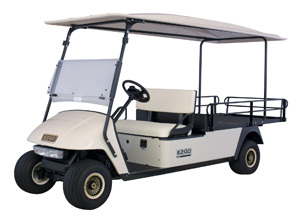 The Shuttle 2 features a 48-vold electric drivetrain or 13 hp Kawasaki® engine. Its extra-long cargo deck and a 1200 lb capacity are perfect for large jobs. 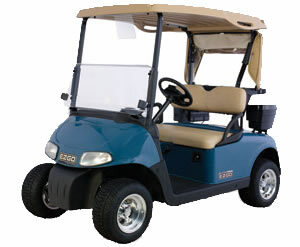 For information on how to purchase a new E-Z-GO Golf Car.